Traveling can be fun and traveling can be rewarding, but we all know that traveling can also be stressful and exhausting. That goes double when you’re traveling with kids (in fact, “double” is probably the best-case scenario), but there are some things you can do to ease the burden of dragging your little ones all over the place. And who knows, if you play your cards right, getting there might even be more than half the fun. If a kid is old enough to walk, a kid is old enough to wear a backpack. Don’t forget this. Better yet, don’t let your kids forget this. Every piece of luggage your child can sling over her shoulder is a piece of luggage you don’t have to drag through the airport like the comically overloaded pack mule you will inevitably become. The kids will be amped up on nervous energy and anticipation once you get through airport security, since they’ll think of the “waiting to board the plane” time as the official start of your trip. That’s a great time to let them run around and play, as long as you don’t let them bother anybody else too much. And even if they do, most travelers would be happy to trade a few minutes of being bothered by loud children in the airport terminal for a few hours of quiet from tuckered-out children on the plane. If the kids still won’t sleep on the plane after you’ve run them around, go ahead and let them watch their movies or play their video games. But first, make sure you have headphones for them. The other passengers may not be as sick of the Frozen soundtrack as you are by now, but that doesn’t mean they want to hear it while they’re trying to catch some shut-eye. Plan ahead and make sure you have some type of headphones that your child will tolerate, too; kids hate earbuds. Many planes don’t have milk on board, believe it or not. If milk is your child’s drink of choice, make sure you have some packed, or buy some in the airport once you get past security to bring on the plane. Ideally, your kids will have picked a few of their favorite toys for the trip, but it’s a good idea to pack some surprises that you can dole out along the way. It doesn’t have to be anything fancy; it can be something as simple as a new coloring book or a mini Etch-a-Sketch (or, ideally, something that makes a comparable amount of zero noise). Anything a child isn’t expecting will probably buy you at least 20 minutes of peace and quiet. In this day and age there’s no reason for anybody to get lost, even for a little while. Once you reach your destination, slap a piece of masking tape onto your child’s clothing somewhere and write your cell phone number on it with a Sharpie. If you’re traveling in a foreign country and your kids are old enough, make sure they can at least say “I’m lost, and I don’t speak [local language].” It’ll take five minutes at the dinner table for them to get that down, and it’ll be time well spent. Most kids aren’t adventurous eaters. 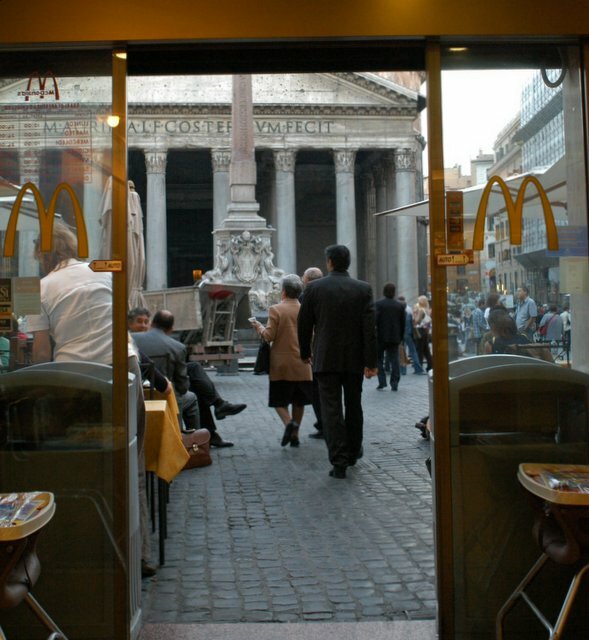 One of the best parts of traveling is sampling the local cuisine, but the little ones might not always be on board. 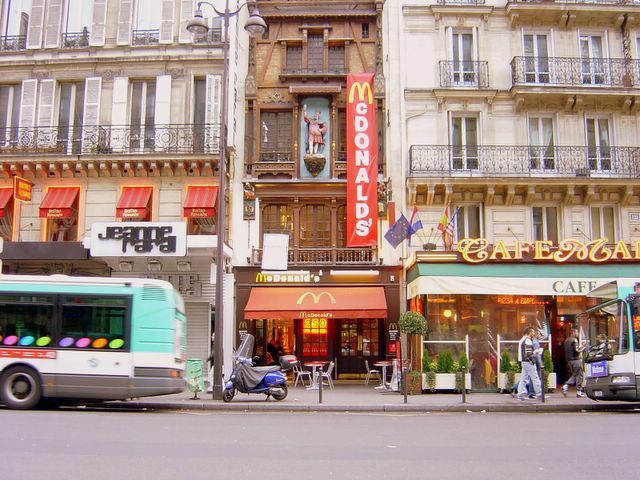 As much as we love our Big Macs, who would ever dream of eating at McDonald’s in, say, Paris or Rome? Your kids probably will, after a few days worth of new and unfamiliar meals. For their sake, give in on the occasional meal and the trip will likely be a smoother one. Certain stresses and strains of traveling with children are unavoidable. One thing you don’t need to do, however, is haul the kids around town to get passports, travel visas, and the like. Why do that if you don’t have to? The passport application line at the post office can be as long as the flight you take to get to your destination. Luckily, Choice Passport can do all of the “legwork” for you. Choice Passport can’t make traveling with kids any easier, but we can make getting ready for the trip a breeze. You’re bound to have your hands full with the kids; let Choice Passport handle the documentation.